A lot of recommendations of Gankutsuou play up, and at the same time try to excuse, its oddities; it is a strange-looking adaptation of Dumas’ The Count of Monte Cristo that starts partway in and focuses on a side-character and is in the future, as if these are things that need excusing or offering as some kind of caveat. There is a preoccupation on the fact it is a slightly non-standard adaptation of a classic novel which I think does the series as a disservice, because whether or not one cares particularly for Dumas Gankutsuou is a very solid piece of television. And, indeed, once one gets past the aesthetics, it is not a particularly non-standard adaptation at all and one that abridges ably to tell a focused, thrilling story. Ann Leckie’s 2013 novel Ancillary Justice is a good piece of science-fiction, a space opera novel that innovates within its subgenre by adapting elements of other science-fiction subgenres. In its more philosophical plot it evokes classic science-fiction in the vein of Pohl or Simak, as interested in presenting an alien, experimental future as telling an all-action story. Most interestingly to me, it is a story about the aftermath of a war of occupation and the ethics of occupation, from the perspective of a protagonist detached from emotional and moral norms in a society whose norms are themselves distant to the reader’s. That one can read the novel and at times wonder if the society being described is human in any understandable sense – or indeed “good” from a modern perspective – without it falling into caricaturish acts of exaggerated cruelty sets it apart from many of its peers. 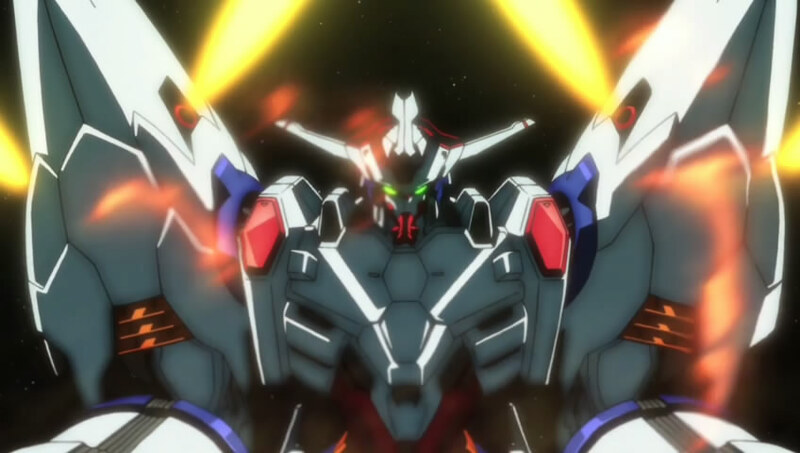 The first episode of the 2014 animé Captain Earth promises, in its title card, that “everything will be obvious soon” – indeed, compared to its natural comparison-points in studio Bones’ other mecha animé Eureka Seven and Rahxephon it is forthright and straightforward in its worldbuilding and conflict. Enemies – Approaching Earth Objects – have attacked Earth in the past and are doing so now, and this time humanity has created a machine to fight them on an equal footing. From this introduction to the concept there are hints of a more in-depth plot – factions exist within the human governments who seek a solution to the alien problem other than using fighting-machines (the “Ark Faction”), and the motivations of the enemies are still fairly uncertain – but as an introduction to a new world – and indeed a new take on a very established concept – it takes an approach that proceeds at a rapid pace to build up its revelations. Science-fiction animé featuring first contact with alien races, when the focus is on war, often takes a quite particular stance which at first sight seems nationalistic and imperialist. A war for the survival of a species necessitates strong leadership and heroism in the face of impossible odds, and no sacrifice is too great to further the overall cause. This is particularly clear in stories such as Space Battleship Yamato or any super-robot animé, where the rank-and-file soldiers – and even world governments – are happy to throw lives away to buy time for the protagonists to in some way meet their destiny and save the world. 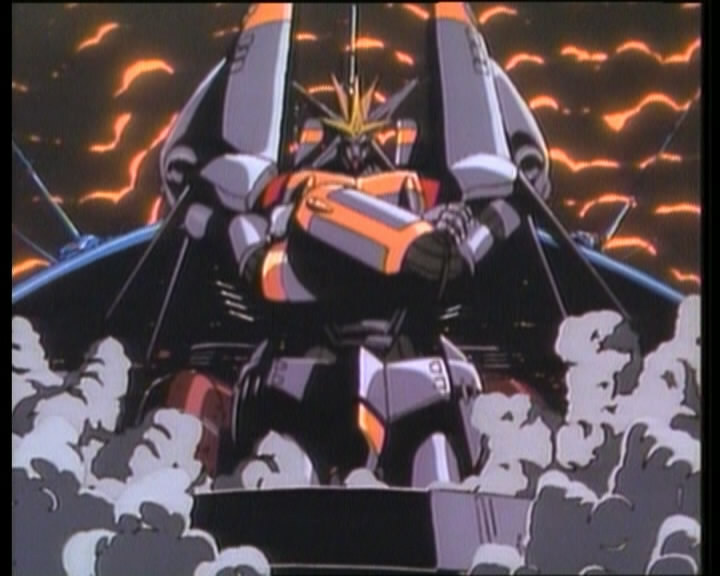 Yamato begins in this way, with mankind’s last stand against the Gamilans, and then extrapolates this (more so in 2199, the remake series) into a kind of post-apocalyptic resistance scenario after this is not enough to win. Recently there have been a series of exciting electronic albums released from artists such as Lazerhawk, Miami Nights 84 and Mitch Murder which use the sounds and rhythms of 1980s disco music; the focus of these albums is as much to create such music for the modern age as to slavishly imitate the past. This is done through making the music self-consciously retrospective in every sense; the use of classic synth sounds and rhythms is combined with spoken-word and found-footage segments which evoke the period from which the music is supposed to come. Similarly, the videos for the songs use archive footage both of people of the time and the pop culture of the time; Lazerhawk’s Space Is The Place uses footage from Space Battleship Yamato to form its video.